To some progressives, California’s huge endorsement for the losing side for president reflects our state’s moral superiority. Some even embrace the notion that California should secede so that we don’t have to associate with the “deplorables” who tilted less enlightened places to President-elect Donald Trump. One can imagine our political leaders even inviting President Barack Obama, who reportedly now plans to move to our state, to serve as the California Republic’s first chief executive. As a standalone country, California could accelerate its ongoing emergence as what could be called “the Republic of Climate.” This would be true in two ways. Dominated by climate concerns, California’s political leaders will produce policies that discourage blue-collar growth and keep energy and housing prices high. This is ideal for the state’s wealthier, mostly white, coastal ruling classes. Yet, at the same time, the California gentry can enjoy what, for the most part, remains a temperate climate. Due to our open borders policies, they can also enjoy an inexhaustible supply of cheap service workers. Of course, most Californians, particularly in the interior, will not do so well. They will continue to experience a climate of declining social mobility due to rising costs, and businesses, particularly those employing blue-collar and middle-income workers, will continue to flee to more hospitable, if less idyllic, climes. Barring a rush to independence, Californians now must adapt to a new regime in Washington that does not owe anything to the state, much less its policy agenda. Under the new regime, our high tax rates and ever-intensifying regulatory regime will become even more distinct from national norms. President Obama saw California’s regulatory program, particularly its obsession with climate change, as a role model leading the rest of the nation — and even the world. Trump’s victory turns this amicable situation on its head. California now must compete with other states, which can only salivate at the growing gap in costs. At the same time, foreign competitors, such as the Chinese, courted by Gov. 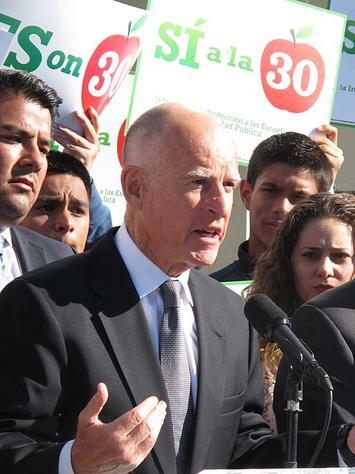 Jerry Brown and others to follow its climate agenda, will be more than happy to take energy-dependent business off our hands. They will make gestures to impress what Vladimir Lenin labeled “useful idiots” in our ruling circles, but will continue to add coal-fired plants to power their job-sapping export industries.